One of the primary concerns in a small business is the problem of risk. Many who begin the start-up process terminate it in less than one year. Of those that survive, many are unable to achieve sustained growth and profits. 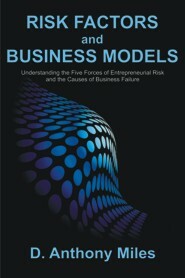 Small-to-medium business enterprises (SME) have a 50% to 90% chance of failure within the first five years. While there are measures of personal risk behavior of entrepreneurs, the literature contains no measure of risk orientation for the enterprise. The purpose of this study was to develop and validate a researcher-designed instrument to measure the critical forces of business risk. The 37-item Entrepreneurial Risk Assessment Scale (ERAS) was developed from key theoretical concepts grounded in economics, marketing, management, finance, and entrepreneurship literature. It was developed and finalized through a process of reviewing literature, subject matter expert panels' review, and a pilot test. The a priori assumption of the ERAS constructs were (a) personal characteristics, (b) intangible operations, (c) enterprise operations, (d) market climate, and (e) business environment. This study utilized a quantitative methodology to establish construct, content, and criterion validity using Bryant's (2000) framework found in Reading and Understanding More Multivariate Statistics edited by Grimm and Yarnold (2000). A sample (N = 276) was taken from an urban/suburban area in South Texas. A principal axis factoring (PAF) analysis was used to establish construct validity; a principle component analysis (PCA) was used to establish content validity; and a logistic regression was used to establish criterion validity. Reliability was assessed within the efforts to establish content validity. What emerged from both the factor analyses were five new factors of entrepreneurial risk that were different from the a priori assumptions and thus renamed: (a) customer and resources, (b) security, (c) operations, (d) external pressures, and (e) other/alternate factors. The results of the PAF and PCA provided strong support for the content and construct validity of the ERAS instrument. In the assessment of criterion validity, the logistic regression analysis showed the endogenous factors, (a) customer and resources, and (c) operations reliably predicted risk behavior of both nascent and incumbent SMEs. D. Anthony Miles graduated from the University of Texas at San Antonio in 1992 with a BBA degree in Marketing. He obtained an MBA in International Business/Management from Our Lady of the Lake University in 2003. He went on to complete a Ph.D/MBA in Entrepreneurship and General Business from the University of the Incarnate Word in 2010. The author is currently CEO and Founder of Miles Development Industries Corporation®.